In this workshop, students will learn how to cook traditional Easter food as served in France during Easter. A traditional soup will be prepared, followed by a cheese soufflé dish. 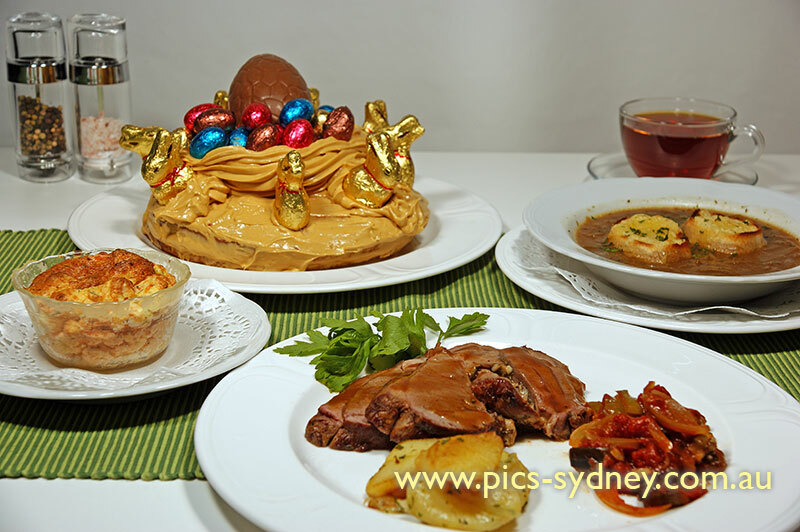 Traditional main course at Easter time (in France) is a spring lamb roast with two side dishes. The dessert for this workshop is the traditional chocolate easter egg cake.